To assess relief efforts in Puerto Rico to date and discuss regrowth and the path towards recovery, Rock Steady For Life, co-sponsored by The Cooper Union's Department of Public Programs, will host a free, public screening and discussion. Hosted by Rock Steady for Life founder and famed B-Boy Richard "Crazy Legs" Colón, the evening will include a screening of the new documentary, Puerto Rico Relief: Six months since Hurricane Maria Aid Continues followed by a town hall-style conversation with non-profit partners including Tara Rodriguez Besosa, Founder and Director of El Departmento De La Comida; Seungah Jeong, CEO of MPOWERD; John Salzinger, Co-Founder and Chief Business Development Officer of MPOWERD; Angela Maria Nardolillo, President of Off the Grid Missions; Rob McQueen, Field Operations Director for Waves For Water; Jorge Quintana, Caribbean Hurricane Relief Initiative Project Manager; and humanitarian and makeup artist Jamie Harper, one of the first reporters on the ground after the storms. Journalist Jon Coen will be moderating and music will be provided by DJ KAMALA. 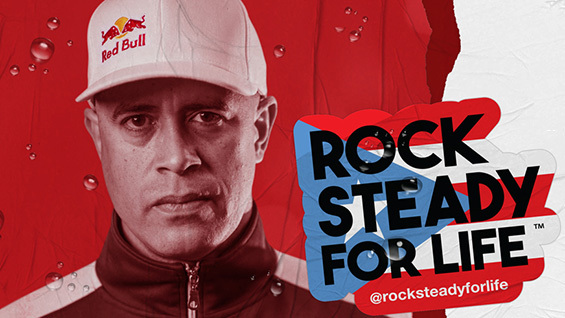 Rock Steady For Life is committed to helping the people of Puerto Rico in the devastating aftermath of Hurricane Maria—and beyond. With the help of Waves For Water and artists of the Puerto Rican diaspora—Puerto Rico Rob, DJ Enuff, DJ Tony Touch, DJ DP One, DJ G-Bo The Pro, Port Morris Distillery—we are raising funds to support on-the-ground efforts of getting muchneeded water filtration and purification systems to areas of the island that have been harder to get to. Funds will also support the Boys & Girls Club of Isabela in their efforts of providing shelter, food and necessities to people in need. Off the Grid Missions is a Non-Profit Organization that provides access to survival tools in highrisk and remote regions around the world. Each mission offers a unique set of skills either in the form of Gracie Jiu-Jitsu training camps that teach Self-Defense against Sexual Assault; or Disaster Recovery relief efforts with a focus on the Deaf and Hard-of-Hearing Community. We try our best to bring light to the source of the problem—but we work to disarm it with an effective and tangible solution. Waves For Water works on the front lines to provide clean water to communities in need around the world. In addition to their primary focus around clean water, the organization has coordinated strategic disaster relief efforts globally, working directly with world leaders and strategic partners who take a no-nonsense attitude toward making global change. Waves For Water has worked in 44 countries, with active programs in 23, and have responded to 33 disasters globally. With over 155 program consisting of water filtration systems (150,000+ filters implemented), wells and rainwater harvesting systems, they have impacted up to 3,750,000 people.